It isn't often I make a quilt from a pattern, but I was searching for a good use for a towering stack of 2 1/2" square scraps. 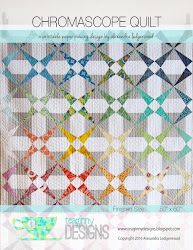 The Roller Rink Quilt by Elizabeth Hartman in Modern Patchwork: 12 Quilts to Take You Beyond the Basics struck me as a fun way to use the squares and play around with the value. You can find an explanation of how she made a baby version on her blog Oh Fransson. 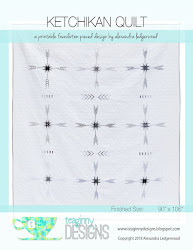 This 36" x 48" quilt uses 189 squares, sashed in two colors to create a really striking, intricate look. It's a great option for boys, too, given its graphic geometric feel. I experimented with value by creating a color progression from light aqua to black in each block. It reminds me of ocean water, from shallow to deep. Alternating the placement of the dark and light ends from block to block creates some interesting movement. 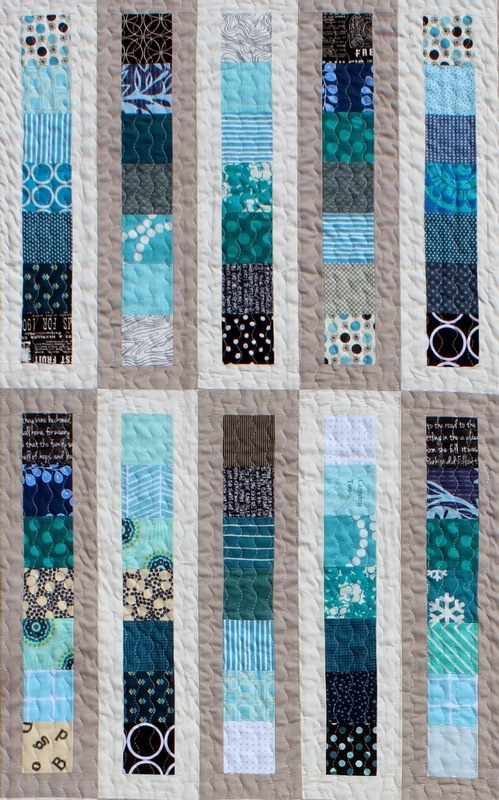 The blocks sashed in grey made me think of rainy days, while those sashed in white feel like clear, blue skies. The backing is a small scale black and white print, and the binding is a black and white pin dot. 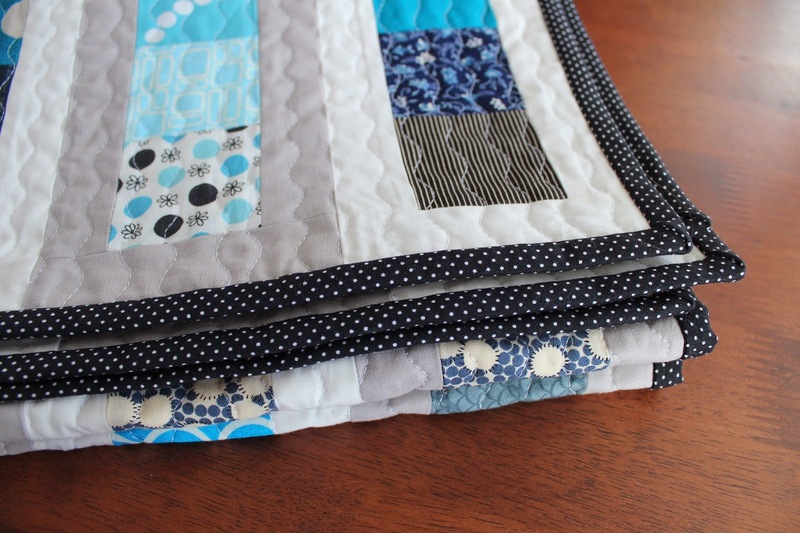 The quilt is available in my etsy shop. 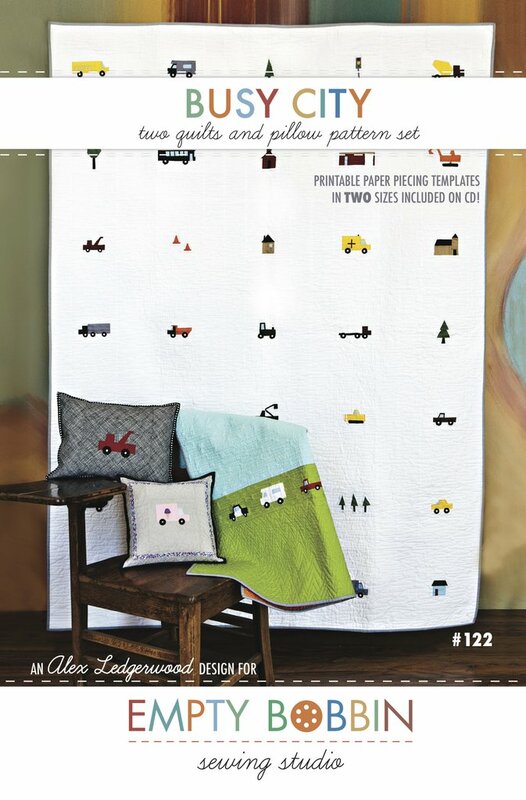 What a great name for this quilt. Beautiful shades of blue! 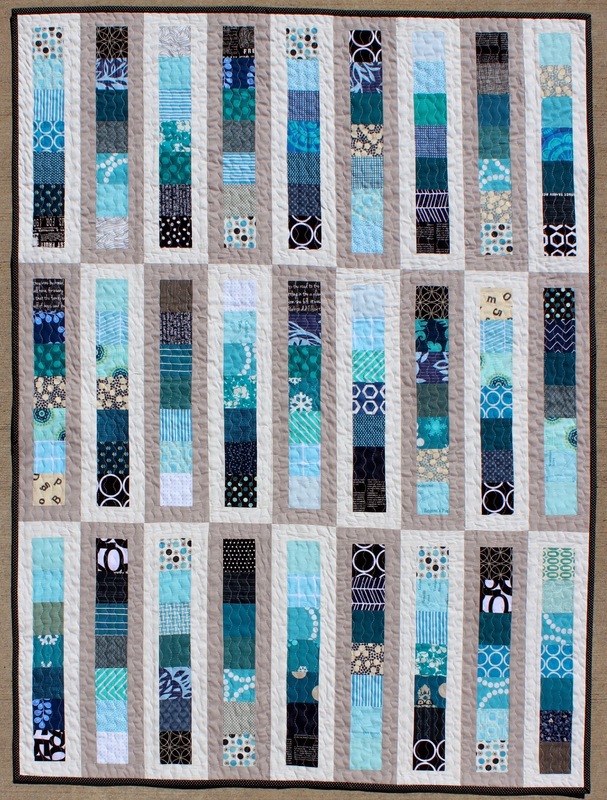 I love your version of this quilt, the colours are awesome and the name perfect!!!! 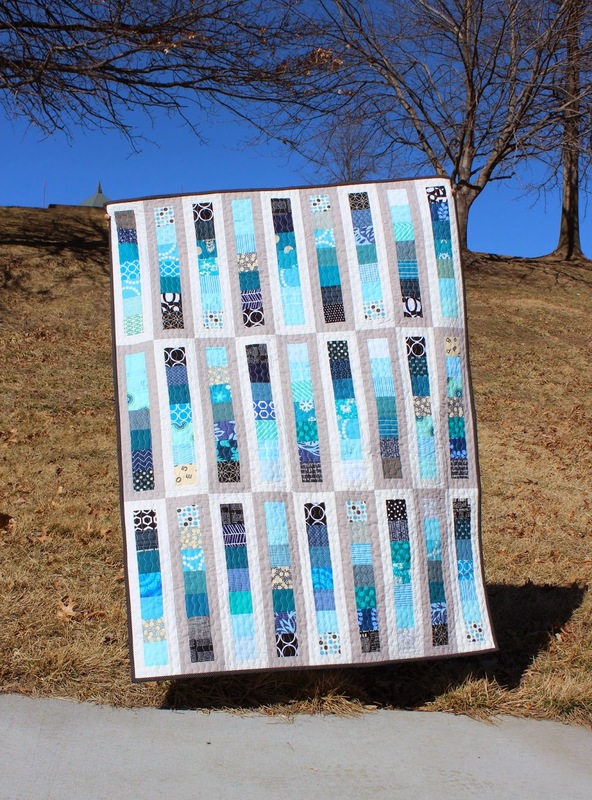 What a beautiful version of this quilt! 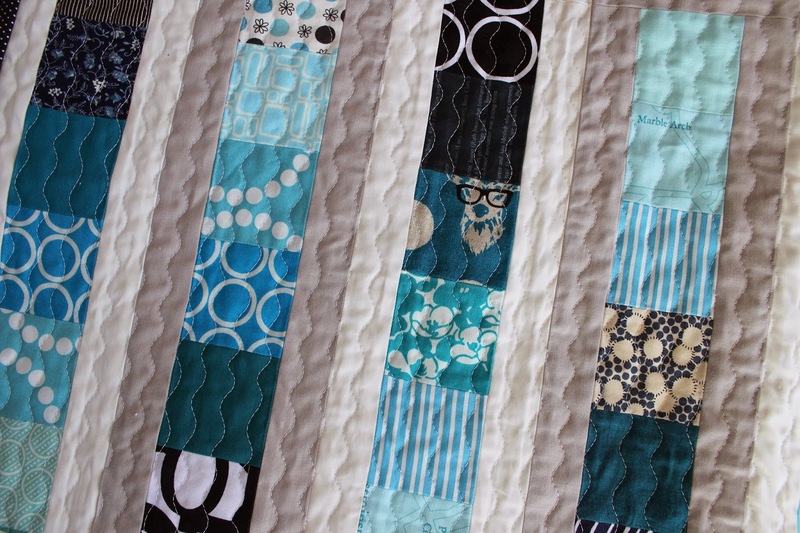 Love the contrast in the shades of color and the wavy quilting really complements the design. It's such a pretty design, but made really effective with your choice of colors. It's an unusual gradation, from aqua to black, but I love it! So very well done. Hi!!! It is very beautiful and I love the colors!!!! What a great use of scraps. I need to add this to my "to do" list for sure. 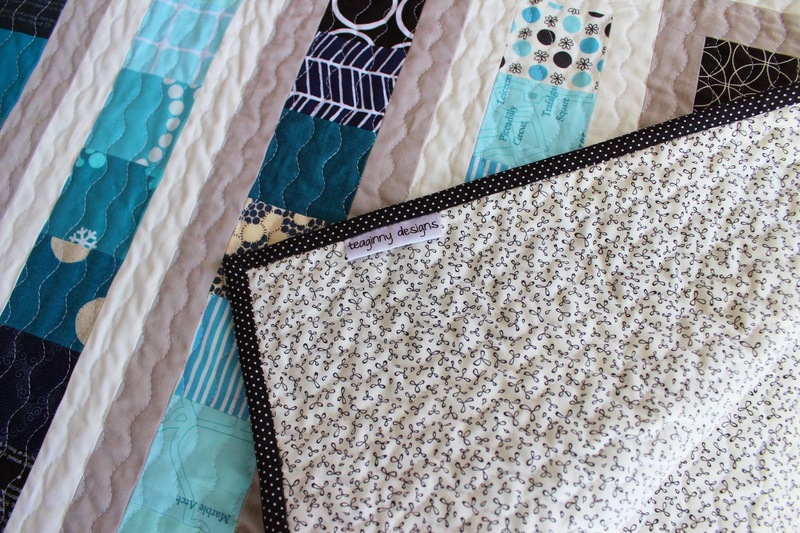 I love this idea to frame groups of blocks in my Splendid Sampler. Thanks for the great post. I too have 2-1/2" squares and I love this idea. Not blues, though, so I will have to give it a different name!